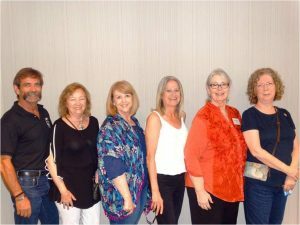 I had the great fortune to participate in a group show with the Rockwall Art League this past week. The event was short, the show went up on June 26th and was down late in the evening on the 28th. The unusual format is due in part to the restrictions/support of the sponsor, Springhill Marriot in Rockwall, Texas. 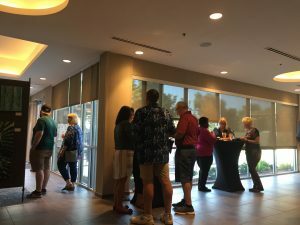 The Marriot wants to help support the arts in Rockwall and this is one of the ways they do so. 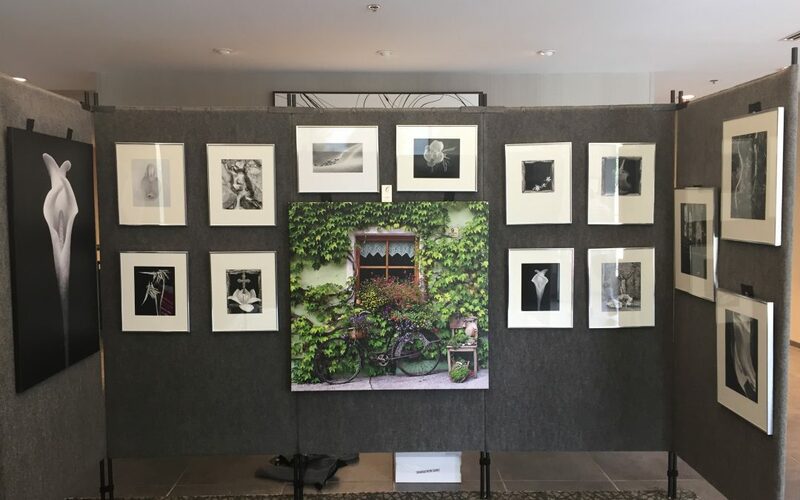 They provide a space in the hotel, near the conference rooms and bar area for the display of local art. They also provide a very wonderful reception, with great food and equally wonderful entertainment. This is something they do 4 times a year and this event was the best turnout to date for the quarterly event. 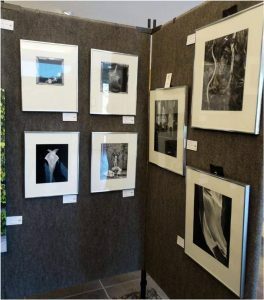 It was a wonderful event and while short, it was well attended and several of the artists made sales. 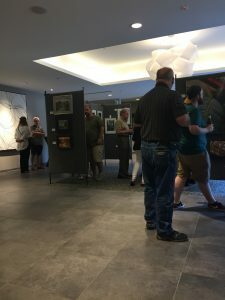 I had an opportunity to meet quite a few people and interact with the other artists. And while the bulk of the art was painting, there were a couple who used photography to record and create their art. So while an event may not seem worthy of your participation due to its short duration, I found this to be a wonderful event, sponsored by a corporation wanting to support local artists and interact with the community. 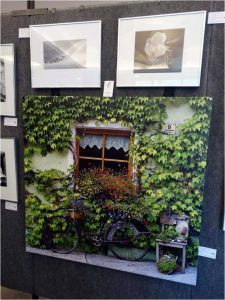 And while I did not have any sales, this was a great opportunity to meet and interact with a new audience and other artisits. 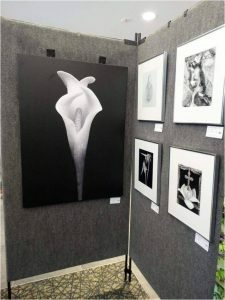 Black & White photography is almost an arcane art in this digital age but I received some great comments and made some new friends. And life in many ways is about meeting new people who want to share the creative journey with you. Handsome dude with all the other artists!